Winter is coming again, which means that a number of people will be bothered by redness, swelling, crippling or even painful toes and fingers, also called Raynaud’s Syndrome. Even though mild Raynaud’s isn’t disabling, it can be very painful and uncomfortable. Raynaud’s Syndrome, also known as Raynaud’s disease or Raynaud’s phenomenon—occurs when small arteries temporarily cramp up, leading to a decrease in the supply of blood to the posterior tissues. This occurs especially within the small blood vessels located in body parts such as fingers and sometimes even toes. The cramps of the arteries do not take long but can hurt very much. There are a number of possible causes of blood vessels cramping. In the first place, it is possible that the normal vascular response to cold is locally disturbed. Abnormal vasoconstriction of arteries located in the extremities of the body (e.g. fingers, toes, earlobes) and arterioles of the skin can lead to Raynaud’s Syndrome symptoms. There are indications that this is due to increased sensitivity of Alpha-2 receptors to cold. This may also be due to a genetic predisposition for developing Raynaud’s Syndrome. Other possibilities are that the blood vessels are narrowed, by arteriosclerosis or because an inflammation of a vessel (vasculitis, making the blood vessel susceptible for this syndrome, or when the blood becomes more viscous, changing the blood circulation. The most common symptoms of Raynaud’s Syndrome are numbness or discoloration in the extremities of the vascular system, emotional stress, and long, brittle nails. The discoloration is a result of the decreased blood flow towards the affected body parts. If the blood flow is decreased for a longer time, the oxygen supply will become depleted, turning the skin blue. As the body starts to warm up and the circulation improves again, the color flushes back to red, often accompanied by swelling and more pain as the tissues and cells regain their functionality. Many people compare this sensation with a foot “falling asleep” or getting “pins and needles”. The numbness is quickly replaced by a painful tingling that lasts for a few moments. An attack of Raynaud’s Syndrome can be very brief, lasting only a few minutes, but can sometimes also occur for several hours. There are two forms of Raynaud’s Syndrome: The primary and secondary form. The primary form is most common. In the primary form of Raynaud’s, the vascular cramps and discoloration usually occur simultaneously with both hands, except for the thumbs. Sometimes there are also complaints on the toes or nose tip. An attack can be provoked by a cold environment or touching a cold object, working with vibratory devices or touching a piano or keyboard, or heavy emotions like fear, sadness or anger. 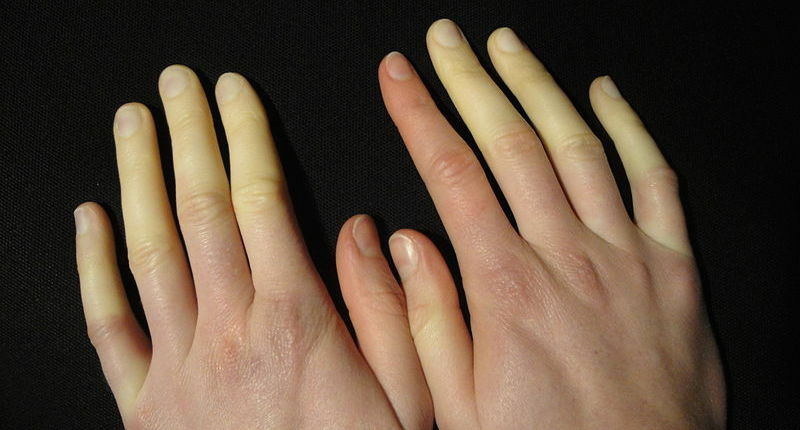 Raynaud’s secondary phenomenon may be due to a disease with vessel wall abnormalities. These include, for example, autoimmune diseases such as scleroderma, rheumatoid arthritis or Sjögren syndrome. Certain drugs, such as beta-blockers, can also sometimes cause this secondary form. In the secondary form, there are often permanent deviations in the capillaries in the fingertips or toes. To cure Raynaud’s Syndrome, there must be a change of dietary and lifestyle. There are numerous ways to prevent Raynaud’s attacks. Changing your lifestyle can have positive effects on the occurrence of Raynaud’s Syndrome attacks. Avoiding exposure to cold and striving for a warm, and especially non-humid environment is the most easy to do. When avoiding cold, you should not only think of wearing gloves, you should also consider wearing a hat—about 30% of body heat escapes through the head, which can be significantly reduced simply by a wearing a hat. Nicotine has very strong vasoconstrictive effects on the arteries. Smoking, both direct and in-directly, should be avoided as much as possible. Exercise has positive effects on the blood flow, and muscle mass helps to increase the body temperature. When suffering from Raynaud’s Syndrome, exercising on a regular basis—at least 3 times a week—will have the best effects. A positive side effect of exercise is that it also reduces stress, which in turn has a positive effect on Raynaud’s Syndrome. There are also natural treatments that can offer some benefits. Ginkgo biloba, an antioxidant-rich herb, has long been known in traditional medicine, as a vasodilator and stimulant for the circulatory system. Even though there are not that many studies looking at the effects of ginkgo on Raynaud’s, there is one study that reported a 56% reduction of Raynaud’s Syndrome symptoms after ingestion of ginkgo biloba. One drawback is that it takes a while before you notice the effects of ginkgo, as it takes a few months for all the ginkgo to build up in your system. The bioactive compounds of ginger, gingerol and shogoal, are commonly known for their anti-inflammatory and antioxidant properties, but these compounds are also very effective in improving the blood flow (10). This increased blood flow results in an increased body heat, due to the dilated blood vessels. For people suffering from Raynaud’s Syndrome, ginger consumption can help by preventing the blood vessels to contract during sudden temperature changes. Ginger can be ingested freshly as a tea, or it can be used as a dry powder as a food additive. Vitamins are essential for the body, but there are a few vitamins that are important for protecting blood vessels. Vitamin B3 (Niacin) plays a key role in increasing blood flow and regulating dilatation of the blood vessels throughout the body. Vitamin C stimulates the immune system, but also protects blood vessels from damage. 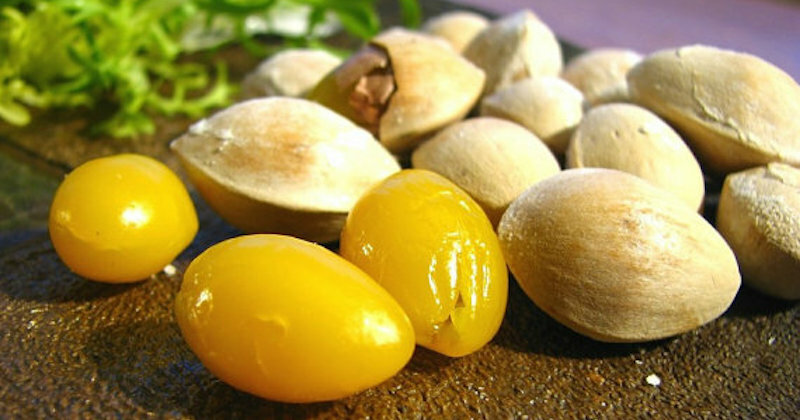 Vitamin E protects the integrity of the blood vessels. Make sure you eat a variety of fruits and vegetables in order to get the whole range of vitamins and nutrients. Next to vitamins, minerals are also essential to the body. Potassium is one of those essential minerals, controlling both the fluid balance in the body and the dilation of the blood vessels. Potassium relaxes the muscles located in the blood vessel walls, resulting in a far less noticeable effect of Raynaud’s when it flares up. It has been hypothesized that nitric oxide may have a role in Raynaud’s Syndrome. Research has shown that there is a defect in the metabolism of nitric oxide in people suffering from Raynaud’s. L-Arginine is a substrate for nitric oxide synthesis, playing a key role in the vascular response to local stimuli. It has been suggested that supplementation with L-arginine improves the nitric oxide metabolism, thereby improving the vasodilatation. 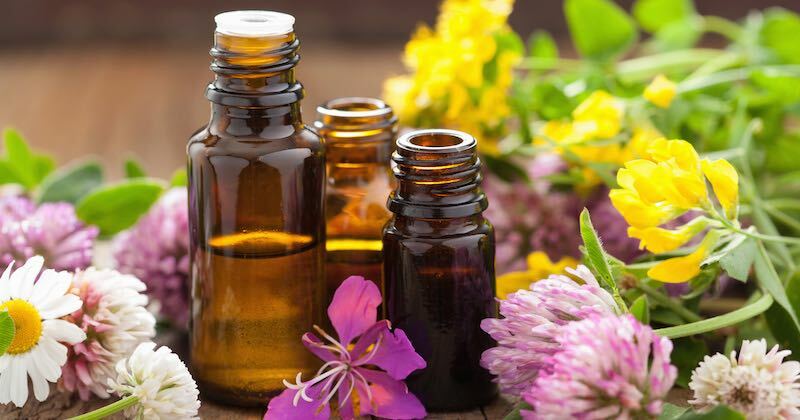 Essential oils are subtle, aromatic and volatile extracts from plants. They have a direct effect on the brain via the olfactory system and skin absorption. Essential oils are also very useful for warming the body, as well as for the blood circulation. Essential oils that can be effective for Raynaud’s Syndrome are oils that can assist in the blood circulation and can increase oxygenation to the body’s cells. These oils can be applied topically, via compresses, by inhaling, with a diffuser, or via detoxifying baths. Recommended oils include Nutmeg, Mace, Clove, Black Pepper, Geranium, Palmarosa, Lavender, Fennel and Rosemary. Other oils such as Myrtle, Lemon and Cypress also have beneficial effects, as they can strengthen and dilate capillaries and increase circulation. Oils such as Helichrysum, Clove and Citrus oils are known to be natural blood thinners. Marjoram relaxes muscles and dilates blood vessels, while nutmeg acts as a circulatory stimulant and anti-inflammatory. Goldenrod is a vein decongestant. Co-enzyme Q10 is best-known for its antioxidant effects and improving the skin. Co-enzyme Q10 works by controlling the flow of oxygen within the cells, thereby assisting cardiovascular functioning and absorption of nutrients into the cells. Supplementation with omega-3 essential fatty acids (EFAs) may be useful because they decrease platelet aggregation, which can limit blood flow. The best way is to add these essential fatty acids to your diet, but you can also massage the oil onto the affected fingers and toes, thereby locally improving the blood circulation. It is important to eat a healthy, balanced diet. Not just for Raynaud’s Syndrome, but also for your overall health. A healthy, balanced diet contains plenty of fresh fish, fruits and vegetables. Fish contains plenty of essential fatty acids and proteins. Nuts and seeds are also very healthy, as they are low in fat and high in proteins and vitamins. As dehydration is the cause of many health issues, therefore, hydration is necessary for improvement of health issues. It is important to drink sufficient water daily. Go here to check what is the minimum amount of water you need to drink daily, according to your body size. Most of the research about treatment for Raynaud’s Syndrome point towards mental health as a major trigger for the disease. Emotions are difficult to control, however, with some relaxation techniques the blood circulation can be improved. Stretching exercises improve blood circulation and are known to help reduce the occurrence of Raynaud’s Syndrome. Biofeedback takes the relaxation techniques a step further. It is a method to consciously control the body’s vital functions such as breathing, heart rate, and blood pressure. However, this is not something you can do at home as some specialized electronic devices are required. It is important to avoid highly fatty foods, hydrogenated and polyunsaturated oils like corn, soy, safflower and cottonseed. It is also wise to avoid a diet high in phytic acids, which can be found in processed carbohydrate products such as cereal, crackers and bread. This type of diet blocks the absorption of essential mineral acids and fatty acids. Caffeine has vasoconstrictive properties, further complicating Raynaud’s Syndrome. It is, therefore, best to avoid any caffeinated products. The same holds true for alcohol.